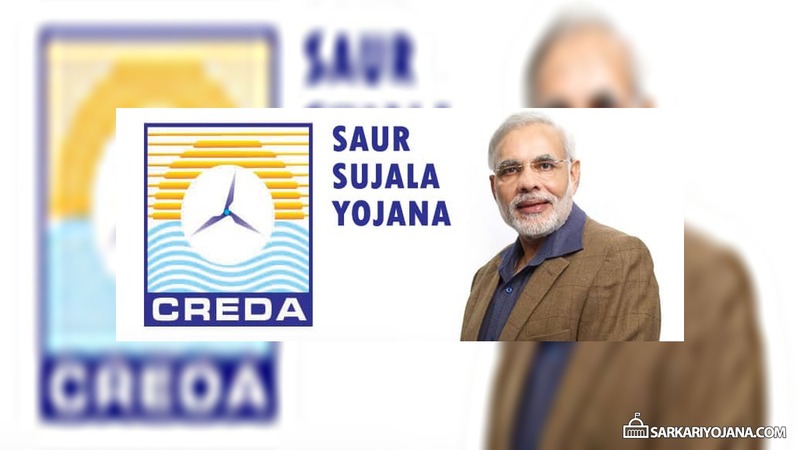 Saur Sujala Yojana is a new scheme launched by Prime Minister Narendra Modi in Chhattisgarh for farmers. Under the Saur Sujala Yojana, the state government would provide solar powered irrigation pumps to farmers in Chhatisgarh. The main objective of the Saur Sujala Yojana is to empower farmers by providing them solar irrigation pumps at subsidized rates. The scheme is also aimed at strengthen the agriculture and rural development in rural Chhattisgarh. Under the Saur Sujala Yojana, government would distribute solar powered irrigation pumps of 3HP and 5HP capacity worth Rs 3.5 lakh and Rs 4.5 lakh respectively to the farmers. The pumps will be provided at the subsidized rates to farmers by 31 March 2019. Under the Saur Sujala Yojana, about 51000 farmers would be benefited in Chhattisgarh in next two years. The scheme would be implemented on priority basis in the areas where electricity has not reached yet. The scheme would be implemented by CREDA (Chhattisgarh State Renewable Energy Development Agency) under the Department of Energy, Govt of Chhattisgarh. Under the scheme, about 11000 solar pumps will be distributed to farmers in several zones in the state within the current financial year i.e. 2016-17. Selection of the beneficiaries under the Saur Sujala Yojana would be done by the department of agriculture of the state government. The farmers who have already been benefited under the borewell or pump scheme will be eligible for this scheme. Village and post shivdaha block payagpur dist bahraich. Iske bare me kuch Jankari dena please. Hallo sir… I m.Himanshu Singh patel….village —ain…lucknow se hi…sir Mai apne khet me solar pamp lagwana chahta Hu…kyo Ki hamaare khet tq paani Ki samasya h….is liye sir plz hamaari baat pr gaur kariye….aur hme is suvudha ke baare me bataiye Ki kaise solar system milega…..???? Sour urja yojna me kam krna chahata Hu ….sabhi kishan bhaiyo ko ladh batana chahata Hu ….please sir ji 8959043710 …jai hind ..